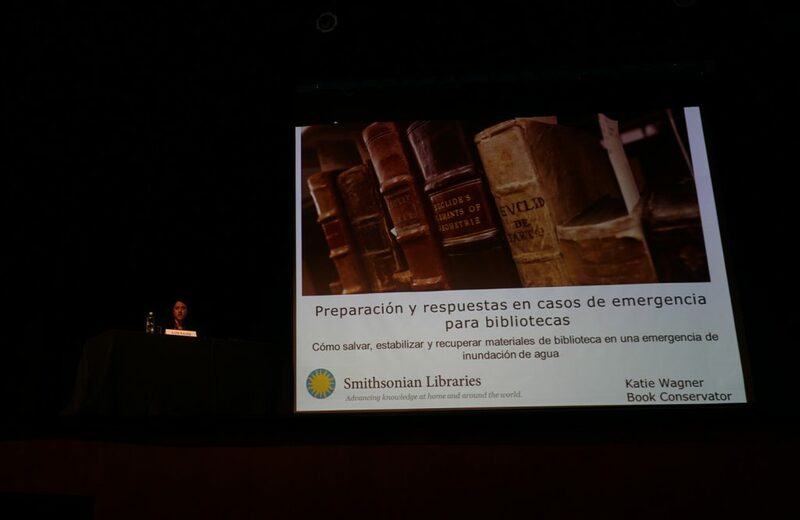 Smithsonian Libraries book conservator, Katie Wagner, presenting at the National Library of Peru. So in June of this year I traveled with three other Smithsonian staff members to give the workshops and talks. My colleagues on the trip were Richard Wright, Director the Smithsonian’s Office of Safety Health and Environmental Management (OSHEM), Michael Kilby, Associate Director for Fire Protection OSHEM, and my fellow Smithsonian Preparedness and Response in Collections Emergencies (PRICE) team member Rebecca Kennedy, Preservation Specialist at the National Postal Museum. 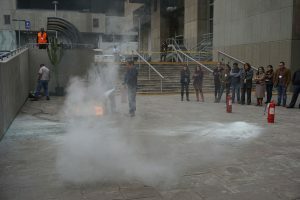 Fire extinguisher training at the Ministry of Culture, Lima. It was a lot of traveling (eight flights!) but the work was incredibly valuable to the participants of the courses. The library talks were separate and very well attended. Of the 350 people we spoke to, 200 were from the library world, from small regional libraries to the National Library of Peru. For the Cultural Affairs Specialist, my inclusion was eye opening because she had not realized the enthusiasm for library-specific talks. 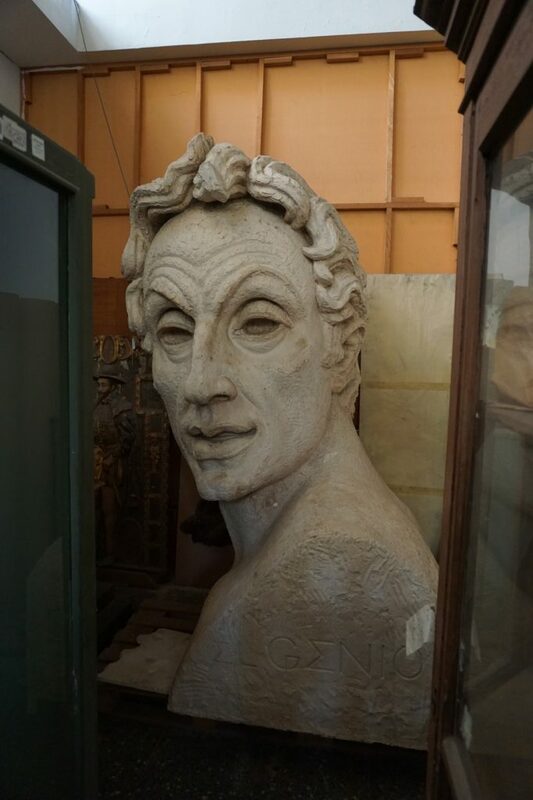 Peruvian repatriation laws have focused on protecting archaeological sites from looting. However, the laws have recently expanded to cover documents and books. 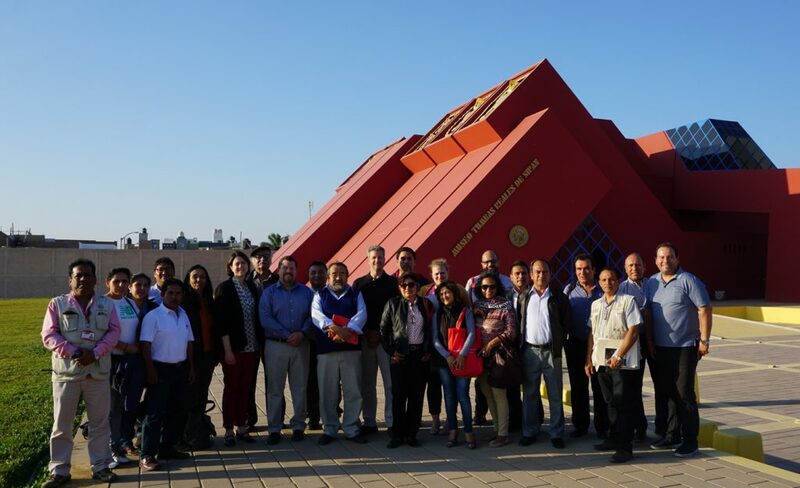 As the former seat of Spanish Colonial Rule in South America, Peru houses a large repository of colonial era documents that are in dire need of preservation. This change in policy will hopefully create new opportunities to fund this preservation. Thank you to my department and Smithsonian Libraries for supporting my 10 day trip to Peru to spread the word about emergency response.